hd00:34Female hands cut into a sweet red bell Pepper on a green cutting board. HD, high definition 1080p. Slicing salad, the concept of healthy food. hd00:12Woman chops boiled meat. Cooking meat salad with eggs, potatoes, cucumbers and peas. 4k00:10Fine dining restaurant plates finished and ready for wait staff to deliver to customers. hd00:22Palette with paints, brush. 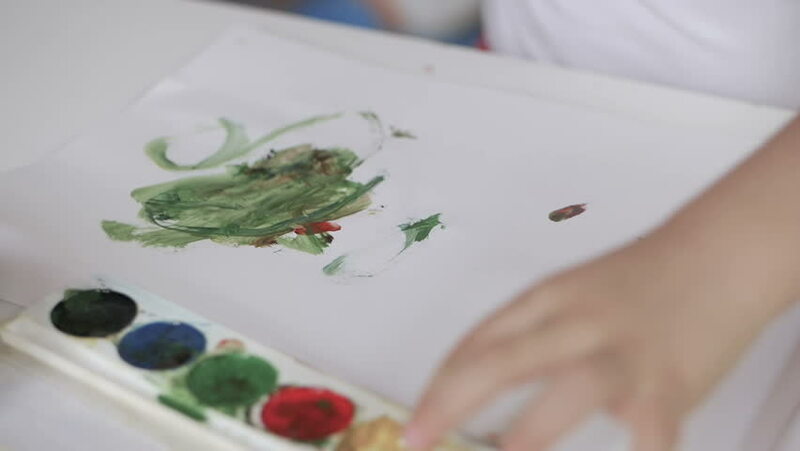 A child, a child's hand, paints animals.